The following information serves as a resource for participants of NTEN courses. In 2016 NTEN officially launch the Nonprofit Technology Professional Certificate as a unique opportunity for nonprofit professionals to earn recognition for gaining substantial professional development in technology specific to the nonprofit sector. The Certificate is comprised of 10 courses that make up the “Core” of the program and 5 elective courses. Elective courses can be also be taken as stand-alone courses without the Certificate Core. You can learn more about the full details and requirements for the Professional Certificate here. Each course happens over the span of a week with a time commitment of 2-3 hrs split between self-paced activities and a live event. The live event is also recorded and made available almost immediately so those who can’t attend the live event can still participate in the course. The goal is to create a more in-depth training experience with the flexibility needed still be able to focus on your job. The following is some general information about each of the various technical systems used and how to navigate them. Getting access to the live event for your course is easy. Within the course, click on the link within the first virtual classroom module. It is the module directly after the pre-work quiz. No need to passwords and all that. 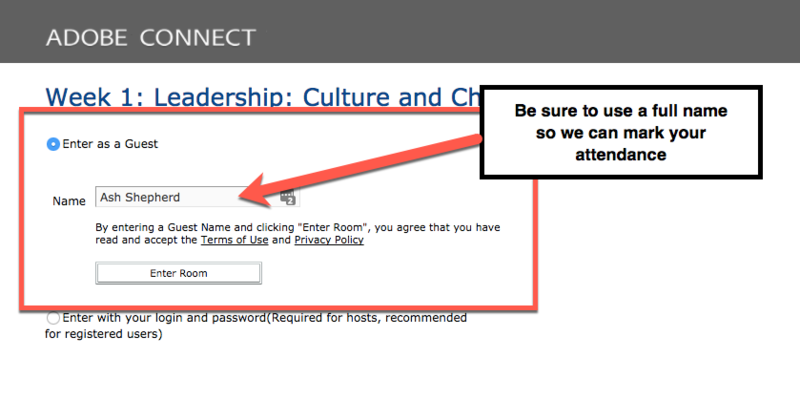 Just sign in as “Guest” and use a name that allows us to identify you in terms of marking your attendance at the live event. After each live event, the virtual classroom link is switched to point to the recording. The recording is interactive so any links shared or files available for download can be interacted with as well. Be sure to take a few minutes to complete the Online Training Center Orientation course. This will give you a chance to make sure you know how to navigate a weekly course before you have to jump into your first one. See notes above in the Online Training Center section on who to navigate to your courses. Once a course is opened up (typically the Thursday or Friday prior to the live event) you will receive an email notifying you the course content can be accessed. 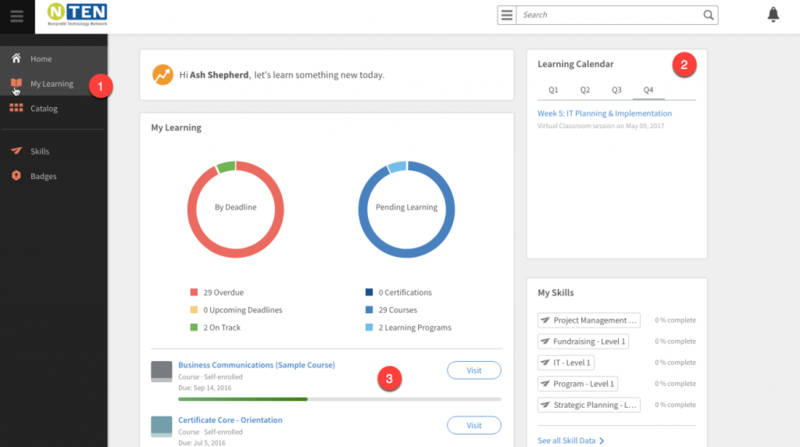 To do this you simply navigate to your Certificate Dashboard where you will notice the text on your course has changed from “Enrolled” to “Access Course Content” and is now a link. This link will take you directly to the Online Training Center where you can begin working on the Pre-Work at your own pace. Purchase of the Prepaid option gives you credits you can use to register for both the Core and up to five Courses without being charged. It does not automatically register you for anything. All you need to do to take advantage of your prepaid credits is be logged in. The system will recognize you as having available credits and should show you a $0.00 price option until all your credits have been used. You can also share any questions in the Online Community and where we keep an eye on things and will respond so everyone can see the response. We also use this space to share answers in a public manner if we find we are getting multiple email requests on a similar topic.